Tmma Photography features images taken around the UK. There are landscapes from Scotland, England and Wales, macro photos of insects and plants and 12 Pics – a dozen pictures on such varied themes as Skara Brae in Orkney to Ullswater in Cumbria to Roman ruins. There’s quite a variety here. Who takes all these pictures? The images on this site are a family effort. Mostly by a nice bloke called Mark. Sometimes it’s his even nicer wife and sometimes his son. Mark wears several hats (in no particular order) being a husband, parent, carer and photographer. Back in 1983 his close friend Chris (who is now pointing his camera at the big landscape in the sky), not only encouraged him to pick up a camera but also introduced the ‘magic’ of developing and printing. Over the years several darkrooms have ensued, developing films from 1/2 frame, 35mm and medium format equipment. The Eyes Down album is a recent addition containing a selection of images taken by my son who has Down Syndrome. OK nice to meet you Mark. How did you get into digital? Thanks for dropping by! 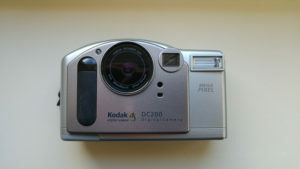 By 1999 I embraced digital photography with a one megapixel Kodak digital camera, the DC200. Someone I worked with showed me one. I was hooked. No space consuming darkroom and nasty chemicals required. Instead of feeling like a mole, I swapped the darkroom for a computer. Maybe not everyones choice but it worked or me. 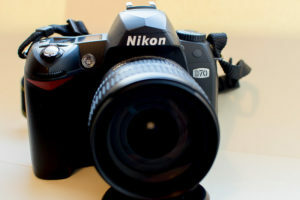 By 2004 I acquired my first DSLR, a Nikon D70. Both cameras are still in working order and kept for sentimental reasons. The D70 can still produce acceptable results. The DC200 not so much. I’m fortunate in a couple of respects. I end up ‘exploring’ the UK, sometimes through travelling and sometimes on holiday. I’m also lucky enough to live fairly close to several nature reserves and various woods. Weather permitting, most of the time there is more than enough to point a camera at. Can we use these images? Of Course! Most of the images on this site are available for business, commercial or educational purposes. Use the Contact page and we can sort out a higher resolution copy as all images on the site are optimised for web use. Is it OK to link to an article/ post / image on this site? Sure it is. I won’t ask for a donation or even a coffee (black if your offering), just a working link to this site. You don’t have a gear list! There are certain situations where specialist (and expensive) gear will make getting a good shot easier. For most of us, most us of the time the gear isn’t the limiting factor. Sure marketing departments tell you otherwise, but don’t believe them. The only time you really NEED to upgrade is if your equipment stops you getting the shot. If you WANT to get some gear fine……. but before going all magpie and getting that new shiny bit of kit think if a workshop or travel experience may be more beneficial. You might surprise yourself! The equipment I use for all the pictures on this site is quite modest. I prefer value for money so most of my gear is pre owned, with a combination of older generation crop sensor cameras both mirrorless and DSLR. Sometimes even my smartphone. A 24mp camera is more than enough for what I currently do. A lot of the shots on this site have been taken on 10 or 16mp cameras. Even my 14 year old 6mp Nikon D70 could still be good enough for website use. You don’t allow comments – why not? Because the comments inevitably fill up with spam – which may contain nasty viruses! I’m happy to deal with with queries via email here. This is all good – but tell us something about yourself. Ok, I like scotch, doughnuts (the ones with jam in the middle, the one true doughnut), have a thing for pies and pasties and like a drop of real ale now and again. I love the warm sun on a summers day out in the countryside, usually with a camera and some munchies to keep me going. I get more fun from going out taking photos rather than worrying about what camera I’m using. I’m blessed with two wonderful sons and my darling wife has put up with my photography (and other bad) habits as long as we’ve known each other. She is very patient . Whatever equipment you use and subjects you shoot – enjoy yourself. It’s your journey. You decide. All images and articles on this site are subject to copyright © owned by the original creator. The Tmma Photography disclaimer page is here. This site is a personal project and an extension of my photography. There is no sponsorship, no affiliate links or advertising.